but all too often we end up defined by what we can't get rid of. I tend to hold onto things for a long time -- often for sentimental reasons, but sometimes in avoidance of a bizarre guilt that immediately accompanies my disposal of anything remotely useable. I think perhaps Toy Story ruined me forever in its personification of inanimate objects. Initially, it just resulted in my taking extra care to love my dolls & stuffed animals equally, lest they worry they'd been "replaced" by something new. For a while the effects were positive: my possessions were well-loved, but well cared-for. But as my interests expanded beyond these childhood treasures -- into the world of boys and makeup, music and fashion -- I suddenly felt as if I'd committed some wrongdoing. After all, wasn't I betraying what I once loved? Eventually I got over abandoning my Beanie Babies in the crawlspace and squishing The Barbies into a bin I imagined would be very uncomfortable for them, but this odd principle (unfortunately) stuck with me. Even today, I find myself hesitating over the donation bin, a once-favorite skirt in hand, thinking I ought to apologize to it for not "taking it out" more. I essentially charge myself with neglect for a piece of fabric. I have to remind myself constantly that this is completely absurd. A favorite sweater may evoke sentimental feelings, but that doesn't meant it has feelings. The sad circumstance of letting our "stuff" own us, rather than the other way around, is a loss of control over our own personality. We buy things to show the world who we are or what we like, but all too often we end up defined by what we can't get rid of. My deep-seated fear of growing up is likely to blame for the toys I couldn't say goodbye to. 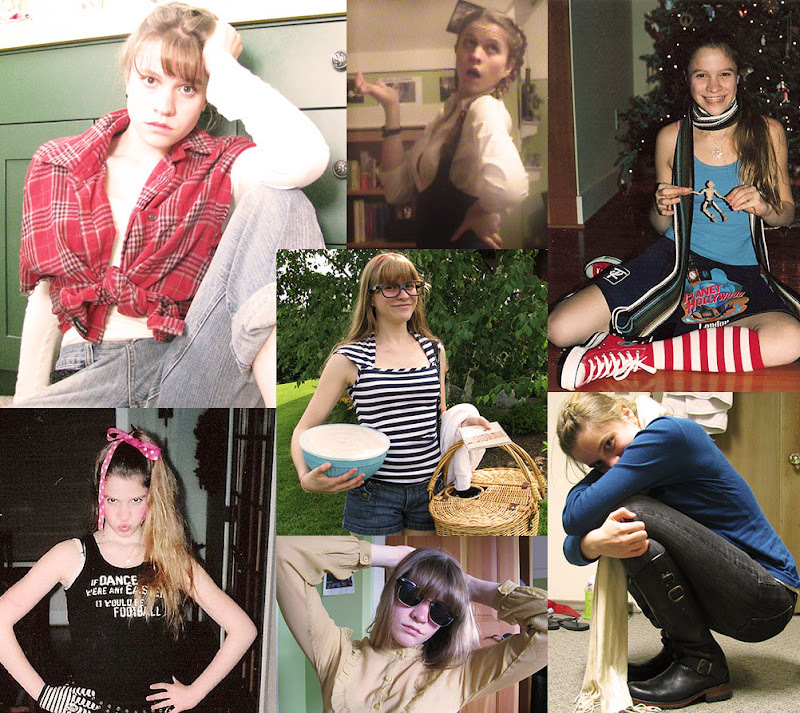 Similarly, my clothes represent various personae I've "tried on" at different points in my life. To throw them away is to admit I am no longer that which I once aspired to be. It's another kind of growing up, really. As a solution for this stifling sentiment, I decided to develop a wardrobe budget. Under the stipulation that I must throw out one similar item for each item purchased, I began portioning a modest amount each season to spend on "me" -- the current me. Knowing I had cash to burn enticed me to make room in my closet for new personality. It's an odd way of embracing change in myself, but it's certainly been a successful one. As for those items I have bid farewell, I can honestly say I haven't thought of them sense. Since nothing inspires (or terrifies) me more than sharing my learning process, I've decided to divulge some of my budgeting exploits in more detail. Hopefully you'll find these upcoming posts useful in your own planning, whether your personality is overflowing onto your bedroom floor, or you just need some motivation to explore a new you. The road to change is never easy, but it's always nice to have a travel companion. Winter budget coming soon -- Enjoy this holiday Monday!